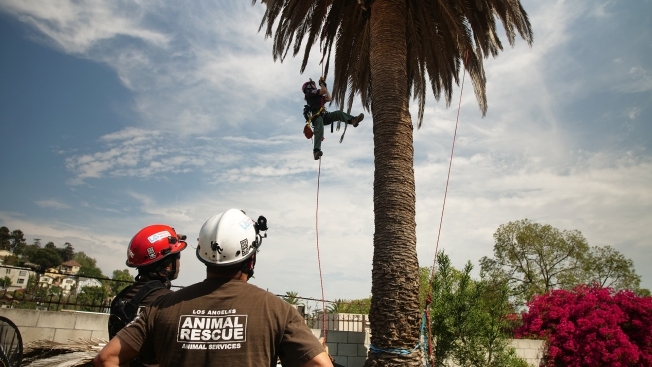 The Specialized Mobile Animal Rescue Team was founded to provide additional support for LA Animal Services. From scaling a 12-story building, to rescuing a raven, to lifting a blind dog out of a canyon, SMART goes above and beyond to rescue animals throughout Los Angeles. "When we say above and beyond we mean it," said Officer Armando Navarrete, founder of SMART. "You are literally on the edge of a 120-foot-tall building or on the limb of a tree because that's where animals get stuck or trapped." SMART, which stands for Specialized Mobile Animal Rescue Team, was founded in 2008 to provide additional support for LA Animal Services. Navarrete originally became an animal control officer for the city of Los Angeles in 1997 with the hopes of fulfilling his childhood dream of protecting animals, no matter what the situation may be. Navarrete loved his job. However, he realized he didn't always have the proper tools to perform an animal rescue in extreme situations. 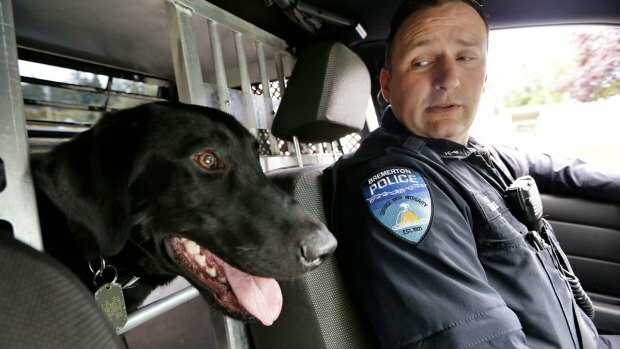 He also found that in those emergency situations, animals are often the last priority for first responders. "The fire department is very helpful, however they are there for the human rescue," said Navarrete. "So if you call for an animal rescue and they have a human emergency, you're not going to get the help right away or at all, so I decided we have to be self-sufficient." He helped launch SMART with the goal of providing animal-only services that weren't offered by the LA Animal Services or other agencies. SMART is made up of animal control officers who receive additional training in large animal rescue, swift water rescue, and rope rescue operations to ensure they are fully prepared for any situation that may arise during a rescue. The team started off with three members. Today, it has 15. "We are trailblazing in a sense because this is not done anywhere else," said Hoang Dinh, a five-year veteran of SMART. "A lot of stuff we are doing needs to be documented so we can look back and reflect, then improve on it." The team is tight-knit, giving each other affectionate nicknames like "Mr. Fox" and "Bam Bam." And their bond runs deep, with the team members relying on each other in life-threatening situations. "You have to look at the other members in crazy situations and be like: 'I trust you, I trust what I do,'" Navarrete said. One notable, dangerous rescue was a raven that was stuck under a Sony sign atop a 12-story building. SMART rescuers had to scale the building to reach to the bird. 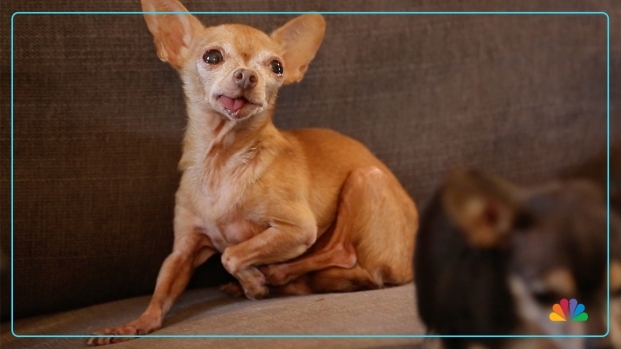 Another intricate rescue occurred when Romeo, a partially blind dog, went missing in the Hollywood Hills. His owners couldn't find him but could hear his echoes of pain throughout a canyon. After traversing the terrain in search of the pooch, the SMART team found the dog pinned between a boulder and a dead tree and suffering from a broken jaw. They had to rappel down the mountain toting Romeo on a stretcher. In both those situations, the animal would have died without the help of SMART. The circumstances are high stress and full of unknowns. "As satisfying as rescuing an animal is, it is a roller coaster," Dinh said. "Before we get to that satisfying feeling there is a lot of stress involved. There is a lot of 'Oh my gosh, can we do it? Is the tree going to give? Will the building be structurally sound?'" Over the years, the team has grown, but their share of the budget from Animal Services hasn't kept up. They rely heavily on donations and, at times, pay out-of-pocket for necessary equipment. Navarrete recently purchased two kayaks for the rescue team because he needed them immediately and knew going through Animal Services for funding could take weeks. "I couldn't just wait for approval," Navarrete said. "I couldn't wait for the red tape, for the city to approve it. So I just use my own money when necessary." Just days after the purchase, the kayaks were used to rescue a stranded goose with a broken leg. The team's top priority is to make sure they have the proper equipment and training so that they are prepared for any situation that may arise. "Being prepared is so important because we can only control so much," Dinh said. "What we can't control is nature and the animal. When they throw a curve ball at you, being prepared with everything else is reassuring because you think 'OK, I am ready for this.'" The team currently averages about 15-25 rescues a month. But, no matter how complicated and stressful the situation is, the team is on call 24/7. "You get a call, suit up like Superman, get your rescue gear and go save an animal," Navarrete said.